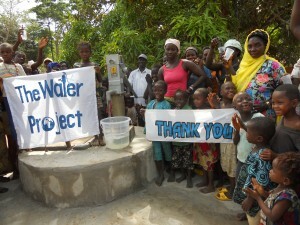 Healthy societies start with clean drinking water. Deaths and disease from lack of or unhealthy water is one of the largest killers in the world. 1 well cost an average of only $10,000 and saves generations of lives. Can you imagine drinking dirty water mixed with sewage? Please join me in spreading the word. A small donation, 1 less Starbucks this week, can save lives and spread the love of Christ, as shown to you with spiritual and financial blessings, to less fortunate throughout the World! 03/03/14 Carina Harrigan $23.00 We all need clean water to drink!